India vice-captain Rohit Sharma's right leg muscle spasm, five days ahead of the World Cup squad announcement, will keep the national selection committee worried. 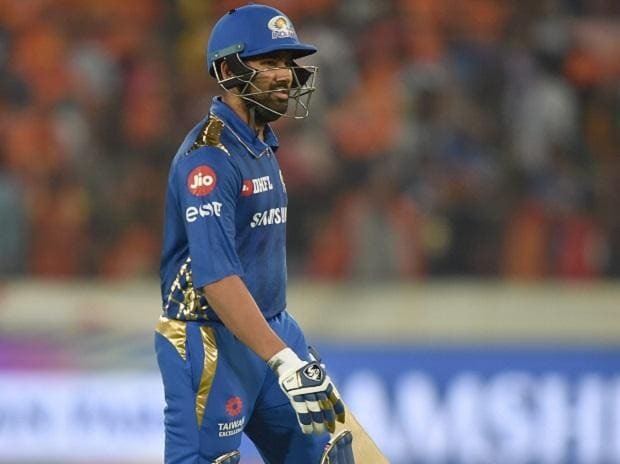 On Wednesday, Rohit missed an IPL game for the first time in last 11 seasons during which he had played for the now defunct Deccan Chargers and then his current team Mumbai Indians. "Rohit Sharma had suffered right leg muscle spasm yesterday during training. Rohit has recovered significantly in past 24 hours. As a precautionary measure, Mumbai Indians management has decided to rest Rohit for one match vs KXIP," MI said in a statement. While it may just be a scare but any degree of injury to any WC squad member will keep everyone concerned. "Rohit is fine but as a precautionary measure we have decided to give him as a rest," stand-in captain Kieron Pollard said. With MI playing three games in the next eight days, the Indian team management will keep a tab on his injury management. Rohit is the second most important batsman after Virat Kohli in the Indian team and coach Ravi Shastri and physio Patrick Farhart will keep a keen eye on his recovery. It is expected that Farhart will be co-ordinating with MI Physio Nitin Patel on his injury management programme as it is the case with all centrally-contracted players in the league.